On Jan. 19, 2012, Lansing Mayor Virg Bernero and Michigan’s largest federally recognized Indian tribe announced plans for a $245 million downtown Lansing casino to be built in the heart of the city’s entertainment district. 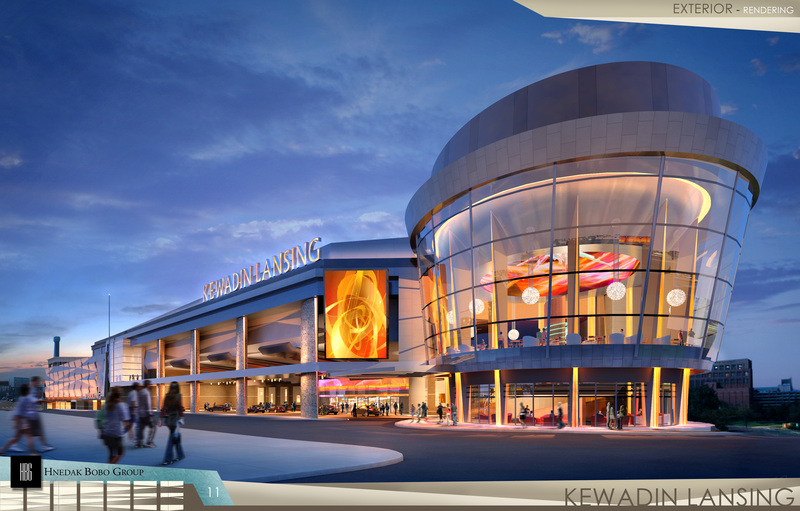 The 125,000-square-foot Kewadin Lansing Casino, to be owned and operated by the Sault Ste. Marie Tribe of Chippewa Indians, would create an estimated 1,500 permanent jobs at the property and more than 700 construction jobs. A temporary casino would open in advance of the opening of the permanent facility. The Tribe will use the casino revenues to improve programs and services to members, including health care, education, housing, elder care, social services, and more. In addition, 10 percent of the revenues will be deposited into the Tribe’s Self Sufficiency Fund that benefits elders and future investments. The City of Lansing will use its annual revenue payments from the facility to create the Lansing Promise, a program to fund four-year college scholarships for Lansing School District graduates. Construction on the casino, to be located at Michigan Avenue and Cedar Street on property adjacent to the Lansing Center, will begin as soon as a development agreement and land transfers are approved. A development agreement between the City of Lansing, Lansing Economic Development Corp., and the Sault Tribe’s Kewadin Gaming Authority was to be filed today for consideration by the Lansing City Council. The Sault Tribe’s Board of Directors is expected to formally consider the agreement tomorrow. The project will be built on City of Lansing-owned land to be purchased by the Sault Tribe. The Tribe will file an application with the U.S. Department of the Interior to take the land into trust as tribal lands under a specific provision of the federal Land Claims Act that gives only the Sault Tribe the legal right to the process. The Tribe’s intent is to open the casino after receiving federal approval. Bernero said the casino would generate about $6 million or more a year in revenue sharing payments to the city, enough to create the Lansing Promise to guarantee four-year college scholarships for every graduate of the Lansing School District who resides in the district. The Lansing Promise will be modeled after the highly successful Kalamazoo Promise. Bernero said former Lansing Mayor David Hollister will chair a steering committee of community leaders, which will report back in six months on a recommended structure and process for the scholarship program. 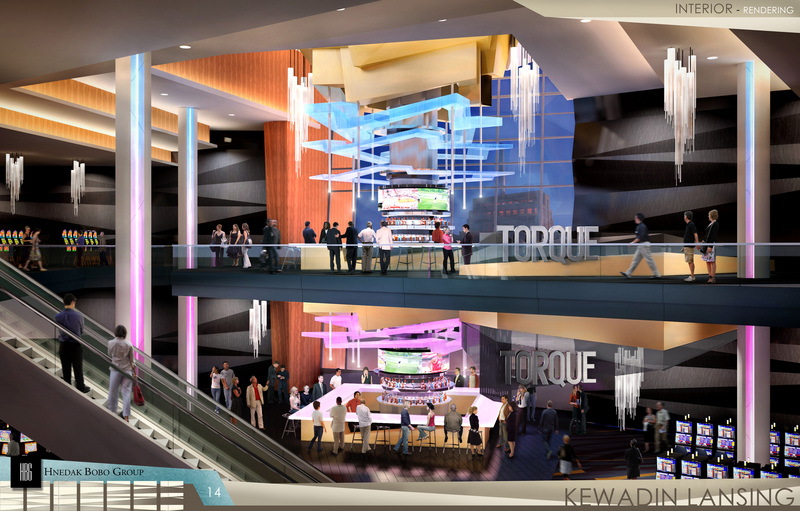 Plans for the Kewadin Lansing Casino include up to 3,000 slot machines and 48 table games, and assorted bars and restaurants in an urban modern-themed property. Bernero and the Sault Tribe said the casino would be built by union trade labor and the casino staffed by union employees who are paid competitive wages and benefits. The project will include two parking decks with about 2,900 total spaces. 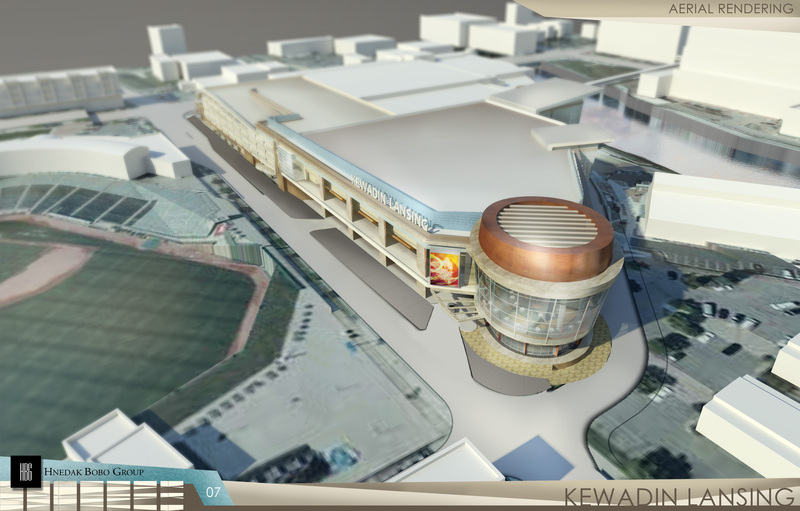 It is estimated the casino will generate about $250 million a year in gross revenues. As the Sault Tribe seeks approval for the project from the federal government, Bernero and Eitrem said they expect challenges to the application. For more information about the casino, including a video and renderings, please view the social media release announcing the casino. I am a relative of Joseph Boucha from Naubinway,Mi. I am also a professional mosaic artist and would be honored to do a mosaic installation for this casino. Whom do I contact to be considered? Once we receive approval to move forward on the casino we will have more information for contractors on the building of the project. We’ll post all of this information on the blog and on the tribe’s website as well. Thanks!